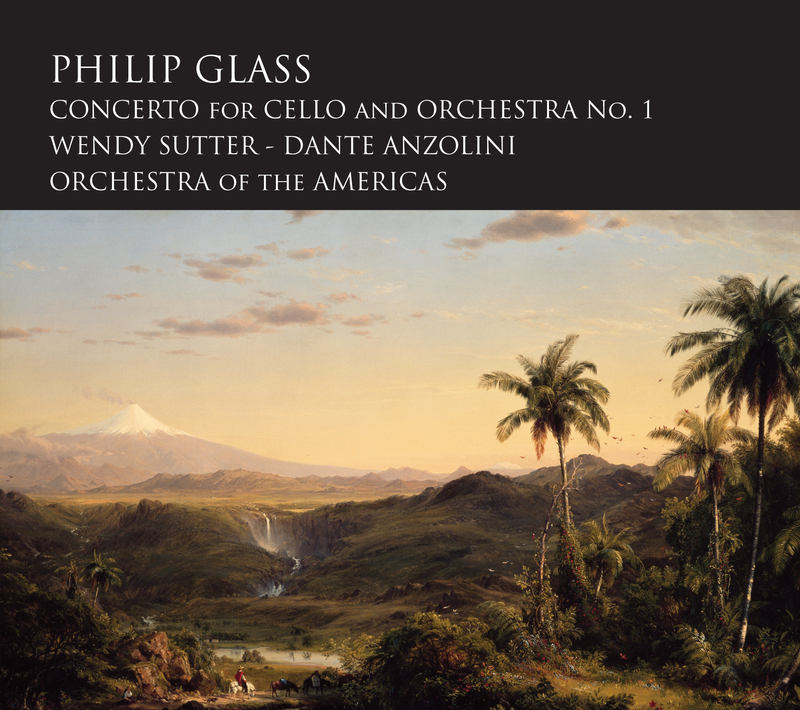 In this new recording, Philip Glass’ 2001 Cello Concerto No.1 gets a vivid and exciting new interpretation by cellist Wendy Sutter, with conductor Dante Anzolini, and the Orchestra of the Americas. Glass’ concerto was previously recorded by the Royal Liverpool Philharmonic with Julian Lloyd Webber under Gerard Schwarz. The piece was composed in 2001 and premiered in Beijing with Lloyd Webber, however Glass couldn’t attend because of travel fears immediately following the terror attacks in New York. Eventually, seven years later, Glass finally heard his concerto performed live at its United States premiere in La Jolla with Wendy Sutter and the La Jolla Symphony under Steven Schick. The concerto has since found a second life with Sutter performing the piece in Belgium, Holland, at the Cabrillo Festival of Music under Marin Alsop, and on tour in South America with the Orchestra of the Americas. It was on this tour, in Quito Ecuador that this Michael Riesman produced recording was made.